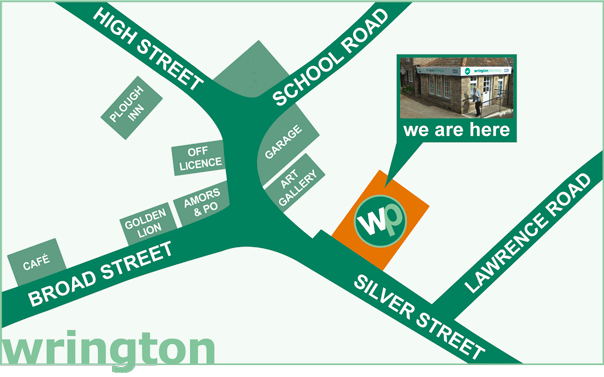 Wrington Pharmacy, Silver Street, Wrington, Bristol, BS40 5QE... we’re located just off the main high street, in Silver Street which is opposite Amors. We have easy access for prams and wheelchair users. The shop has it’s own dedicated room for those who would prefer a private consultation. Malarial Prevention Medication – without the need to see your doctor for a prescription. We can prescribe and dispense Malarone, Atovaquone & Proguanil (the generic of Malarone) Doxycycline and Larium without the need for a private prescription from your doctor. Before prescribing these medications the patient is required to complete a short questionnaire with the pharmacist in the private consulting room. Certain medical conditions prevent us from making a supply and hence we cannot guarantee that we will be able to provide treatment in all cases. All treatments are supplied at the discretion of the pharmacist. Prices can vary so please contact the pharmacy for the latest prices. Erectile Dysfunction Medication – without the need to see your doctor for a prescription. We can prescribe and dispense Viagra, Sildenafil (generic of Viagra), Cialis & Tadanafil (generic of Cialis), without the need for a private prescription from your doctor. We can now offer private Flu vaccination to anybody over the age of 18 years of age and who is not eligible for a FREE NHS Flu Vaccination. This private vaccination costs £10 as it is not funded by the NHS. Please note all patients can only receive one flu vaccination per annum. Patients will be required to answer some simple questions before the vaccination is administered to ensure the vaccines suitability and for the patient’s safety. Vaccines are administered under the supervision of the pharmacist. Vaccines will only be administered if considered safe and appropriate by the pharmacist on duty. Private Prescriptions – We can dispense nearly all private prescriptions at competitive prices. Please ask at the pharmacy counter or call us for a quote. All these services can only be provided when a suitably qualified member of staff is available. 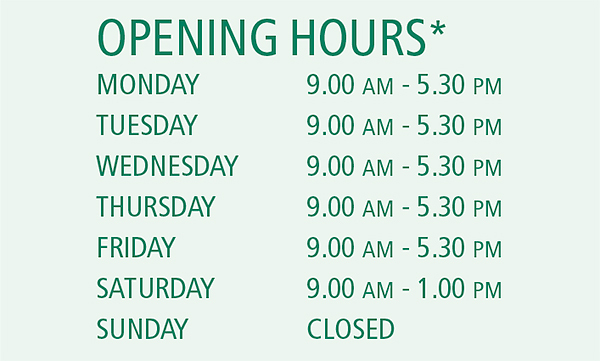 Please contact the pharmacy directly to check on the availability of these services. ** Occasionally locum pharmacists work at this pharmacy. The additional professional services may not be available when a locum pharmacist is on duty.